You've probably seen many Nandinas (heavenly bamboos) with red foliage, but Lemon Lime is the first one on the market to produce lime green new leaves...brilliant lime green that is! 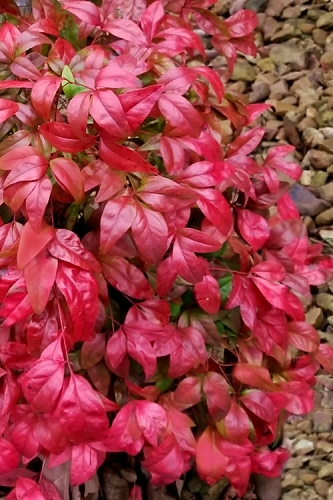 The vibrant foliage of this Nandina will brighten any dark space adding dimension to an otherwise evergreen planting. Get all the details below! Note: For our customers who live and garden north of USDA Plant Hardiness Zone 6a, where this Nandina variety is not winter hardy, you'll be happy to know it can be grown in containers that can be brought indoors during winter and placed back outside when temperatures warm up in spring. You've probably seen many Nandinas (heavenly bamboos) with red foliage, but Lemon Lime is the first one on the market to produce lime green new leaves...brilliant lime green that is! 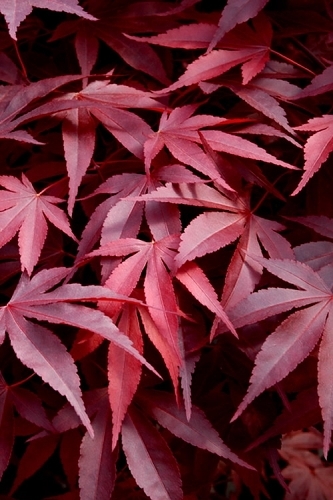 The vibrant foliage of this Nandina will brighten any dark space adding dimension to an otherwise evergreen planting. We've got it growing in full sun to half-day shade and it does equally well in both exposures. The foliage matures to a dark mint-green color during winter on shrubs that grow 3 to 4 feet tall and wide. Does not produces flowers or seeds so there are no worries about seedlings popping up all over the place. 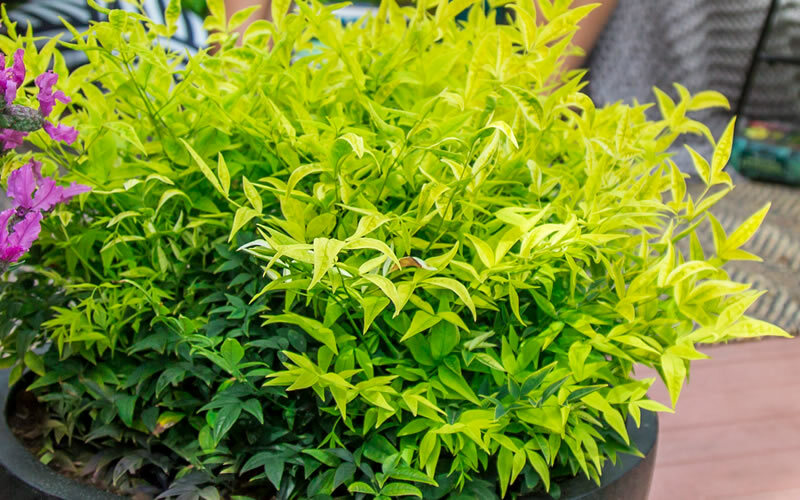 Growing 3 to 4 feet tall and wide, its mounding form and colorful foliage make Lemon Lime Nandina an excellent choice for stunning groupings or mass plantings in sunny to partially shaded landscape borders and home foundation plantings. Also ideal for use to line walkways and paths. Makes a fine centerpiece or accent in container gardens. A fine addition to rock and Xeriscape gardens (low water needs). 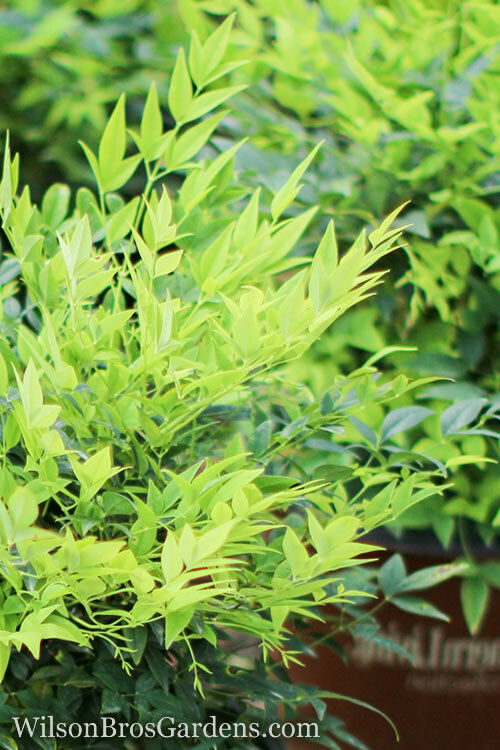 Lemon Lime Nandina is exceptionally easy to grow in moist but well drained soils of average fertility and full sun to part shade. Plants are exceptionally drought tolerant when established. 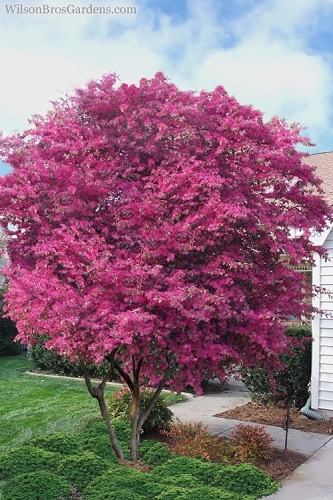 As with so many other shrubs, constantly wet or soggy can cause root rot and other plant diseases. Make sure to plant in a well-drained soil. Exceptionally low maintenance requiring little if any pruning. Its low water needs makes it highly suitable for Xeriscape gardening. 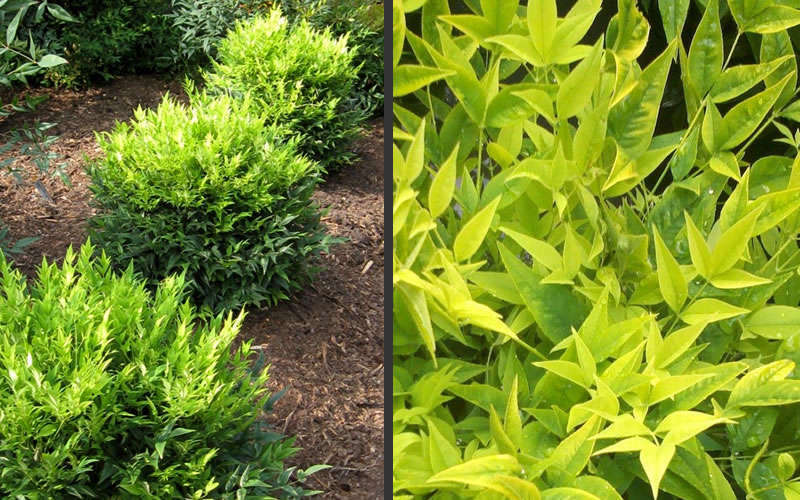 Click on the link below to get helpful advice from our experts on how to plant and care for Nandina. These arrived in great shape and have been in the ground for a month. All are growing nicely and have great color. --------- WBG RESPONSE: Thanks for taking the time to provide us and visitors to Wilson Bros Gardens with your review. We've had a group of 3 of the Lemon Lime Nandina growing in our gardens now for over 2 years. They've done just as good as all our other nandina. The lime green foliage really pops in the landscape! Let us know if there's ever anything else we can help you with. We're at your service! - Brent Wilson | Wilson Bros Gardens. The nandina plants were nice and full and are growing nicely. Wondering what color the leaves are in winter? Guess I'll find out soon. Q: Does this one turn red like my Firepowers? 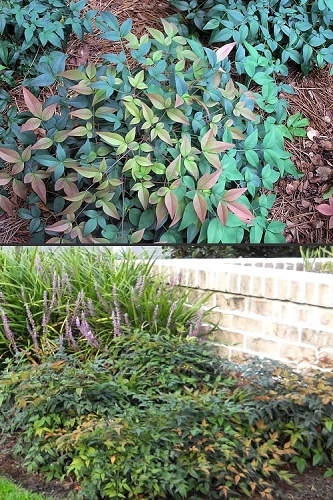 A: The foliage of many Nandina cultivars turn to shades of red and/or orange during the winter. But we've had Lemon Lime growing in our gardens for several years and the foliage stays green year round. 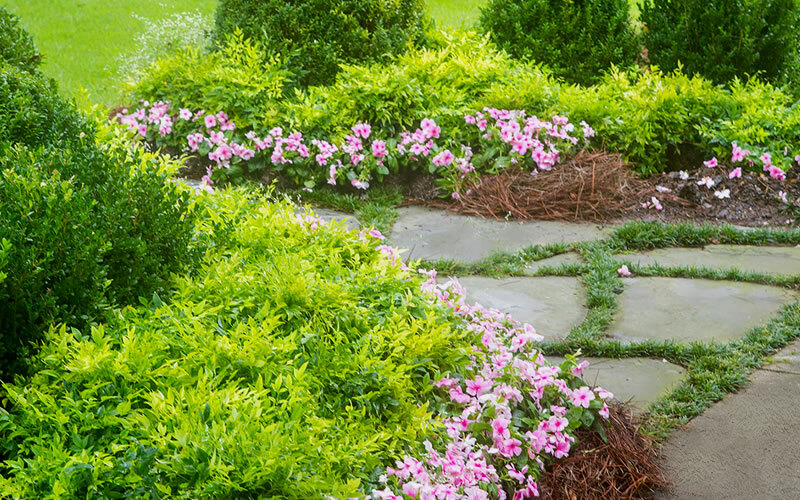 It's more of a blue green rather than the lemon lime color it is during the growing season, which really adds a punch of bright color in the gardens. Let us know if you need more details or have any other questions. We're at your service!